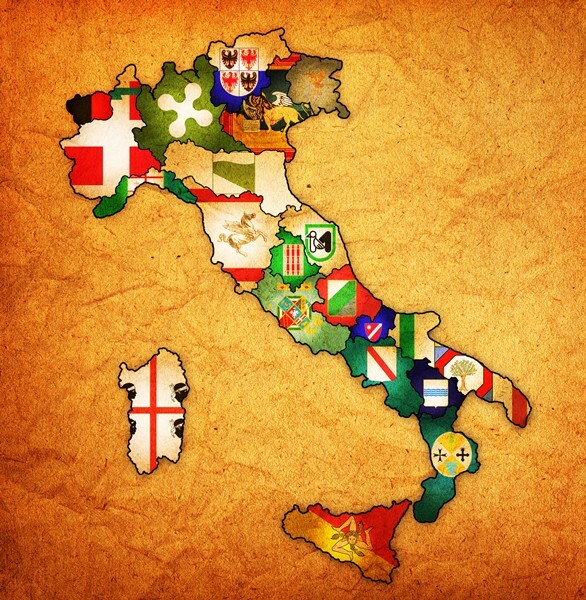 Contrary to popular belief, not all Italian given names have Christian or classical roots. Many names encountered in older records are almost whimsical, and some cannot be translated into Latin or any other language. In order to avoid possible mistranscription of a given name with which the researcher may be unfamiliar, it is helpful to know some of these names, or in most cases at least the onomastic patterns on which they are based. 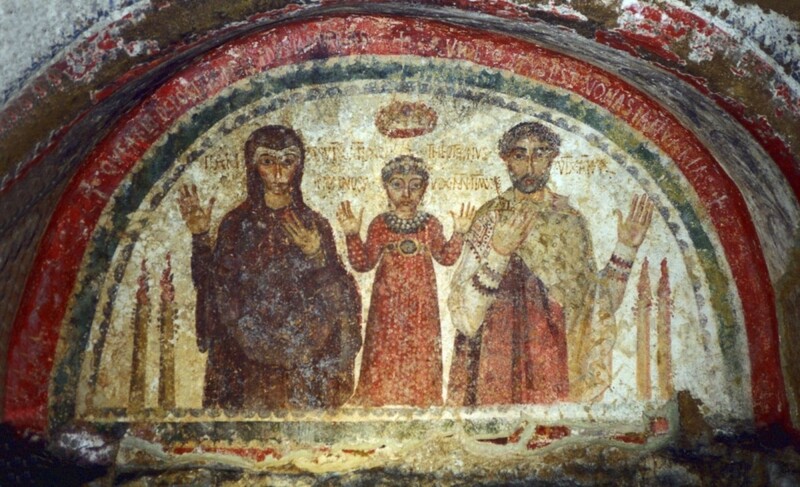 In practice, most Italians were named for saints or classical (sometimes mytholgical) figures. Some of these names were quite unusual even centuries ago. Castrenze, Calcedonio, Baldassare, Cipriano, Zenone and Egidio are religious examples particularly prevalent in localities where these saints are venerated. Dario, Achille, Eusebio, Fabio and Enea are classical names. Of course, a large number of classical names (Gennaro, Elena, Ascanio, Silvio, etc.) which trace their origins to the pagan past later came to be associated with Christians who were canonized by the early Church. This category of names also includes Damiata, Desciata, Desideria, Centuri (Centaur), Zenone (Xenon), Cruciano, Criciana, Imperia, Pompeo, Valenzo and Dionisi, among others. As a matter of pastoral theology and practice, but not canon law, a Catholic baptismal name must be identified with a particular saint. Therefore, it is likely that a "non-religious" given name would have been attached to a Christian name at baptism, even if the latter does not appear in a civil record such as a census or vital statistics act. (It should be observed that, in theory, a name need not be assigned at baptism, as a child may be baptized even if he has no name, but formal nomenclature obviously is necessary for identification if a record of the baptism is to be kept.) Some rare names are in fact those of obscure saints, though they might not be known to the general public. Many of the rarer names mentioned here occurred more frequently in the Middle Ages and during the sixteenth century than in more recent times, but it should be mentioned that recent decades have witnessed the emergence of given names which, though they may seem Latin in structure, are not traditional in Italy: Alba (Dawn), Ambra (Amber), Sabrina, Pamela, Melba, etc. Sabina and Cinzia (Cynthia), however, are traditional. Today we also hear the abbreviated forms Ivanna (from Giovanna) and Gianni (from Giovanni), among countless others. Several factors account for the introduction or extinction of certain given names in Italy from the Middle Ages through the modern era. A number of foreign names were brought to Italy by the conquering Franks, Normans and Longobards, and eventually Italianized to give us Arduino, Ruggiero, Grimaldo, Teobaldo and numerous others. Until the Inquisition, Hebrew and Arabic given names naturally were known among the large Jewish and Muslim populations of Italy. However, a number of Christian names of Greek origin (Ippolito, Sofia, etc.) continued in use long after the Schism, even as the Orthodox communities in Italy gradually became Roman Catholic. Some of these names were Latinized, Iorio (akin to the Slavonic Yuri), to Giorgio. Nicola, which shares the same ancient root as the Ukrainian Mikhola, is closer to the original Greek than the more frequent Italian Nicol˜. For the genealogist working with medieval or sixteenth-century records, which are not always legible, it is important to know that rare given names will be encountered occasionally. A researcher who cannot read a particular name completely might be able to infer it from context if it is partly leggible, especially if it is a common name which he already knows. Even in recent records, however, translations from Latin to Italian are not always obvious, and in many cases there exists no Italian record (such as a vital statistics act) to be consulted as a control. Salvatrix, for example, is the Latin for Salvatrice but also for Salvatora. Translation of Latin names constitutes a topic unto itself. It is worth observing, however, that certain Old Italian names differ from the modern versions by which they have been supplanted. Luisa, though prevalent in Italy, is Spanish in origin; the Italian is actually Luigia. Biaggio (or Biagio) is sometimes found as the variant "Blasio" in older records. As a generality, most Italians of past centuries were rigidly bound by tradition to give their children certain names. A firstborn son would be named for his patrilineal grandfather, a secondborn son for his matrilineal grandfather, a firstborn daughter for her patrilineal grandmother, and so forth. Yet, quite a few parents deviated from this practice, even though they may have given their children rather ordinary Christian names (Giuseppe, Giovanni, Maria, Caterina, Anna, etc.). It is important for the American, Canadian or Australian researcher to know that certain English translations by Italian descendants in these countries have sometimes corrupted our perceptions of traditional Latin names. Donald, for example, is not an accurate translation of Domenico (Eng. Dominic), and Donna is not an Italian given name; in Italy "Don" and "Donna" are not names but titles (Lord and Lady). Madonna, however, is an unusual devotional name which was more frequent in centuries past. Languages such as Piedmontese and Sicilian, which today are considered regional dialects, spawned particular given names which became less frequent in the modern era as Tuscan supplanted these tongues as the standard written language of the various Italian states, and the primary spoken language of the aristocracy. Therefore, a regional name which occurs with some prevalence in sixteenth-century records might be virtually unknown in eighteenth-century records. However, during the nineteenth century there was a resurgence of interest, especially among the emergent bourgeoisie, in many obscure classical and devotional names. Unfortunately, the precise origins of many rare names found in older records have been lost to time. In most cases, the records themselves have been lost. Because southern records (whether census or parochial acts) of the sixteenth century are generally more likely to have been preserved than northern or central ones, the following examples are Southern (with the emphasis on those names not usually cited in onomastic references). Milvia, and the masculine Milvio, are associated particularly with the Albanian communities of the South, and also among Romans. These names commemorate ConstantineÕs victory at the Milvian Bridge (Ponte Milvio) in Rome. An interesting class of medieval names which survived into the sixteenth century are dimunitives given to children named for living grandparents with whom they might share the same basic names. Such dimunitives served also to distinguish first cousins who otherwise would bear the same given name and surname. However, these dimunitives came to be regarded as particular names. The most common example, which has survived to this day, is Antonello (or Antonino) from Antonio, and the feminine Antonella from Antonia. Older examples are Catrinella from Caterina, Margaretella from Margarita, Giovanello from Giovanni, Lionello from Leone, and Giovanella (also the rarer Ianella or Janella) from Giovanna. From Antonia we also encounter two derivatives, Antonina and Antonietta. Barbaro, masculine of Barbara, is all but unknown today, as are Minzico and Masullo, and the feminine Minzica and Masulla. Barbriano may derive from Barbaro. Geronimo is an older form of Gerolamo. Cola is actually an abbreviation of Nicola. Toro derives not from "bull" but from Salvatore. Bastiano is simply an abbreviation of Sebastiano; Bastiana is short for Sebastiana. Minico (and the dimunitive Minichello derive from Domenico, Minica from Domenica. Saints names onomastically based on virtues (Providenza, Felicia) are not too unusual today, but in older records we find Dea (Goddess), Potenzia (Strength) and even Vergine (Virgin), as well as Madonna, Santa (Saint), Bellissima (Beautiful), Venera (Venus, but also a saint), Benefacia (benefice, but Bonifazia is also the feminine for Bonifazio, Boniface) and Donisa, in addition to the masculine Violanti (Violent) and also the obscure Xhumi (Schumi in modern orthography) and Mercurio (Mercury). In Italy we find Carmela, but also Camilla. The feminine Orestrina, Furella (Sicilian for Fiorella), Fiuri (Fiore), Ferenzina, Cumonau and Donisa were unusual even in 1500, as were the masculine Valli, Zalli, Galiotto, Manto (probably from Matteo), Vespristiano (probably originally from Vespri, the "Sicilian Vespers") and Angiolino (possibly from Angio, for Anjou, from the medieval Angevin rulers of southern Italy, but perhaps from Angelino, dimunitive of Angelo). Marchisa may derive from Marchesa (a marchioness, wife of a marquis). Tessa, akin to the French Tess, may derive from Contessa (Countess). Regina (Queen) was often "Regina Maria", actually a reference to the Mother of Christ. Fatta seems to derive from the expression "benfatta" or "benfatto" meaning "well made" Mariella and Mariuccia are dimunitives of Maria, though the former is sometimes an abbreviation for Marilena (Maria and Elena). Patrizio (Patrick) also refers to an old rank of untitled Italian nobility; Patrizia is Patricia. As many Nordic, Slavic and Celtic names lack precise Italian analogues, Kevin and Svetlana need not be translated, it should be mentioned that certain non-Latin geographic and personal names have been translated into "New Latin" for use in Pontifical references. Certain names are readily translated but uncommon nonetheless, among which Genoveffa (in Latin, Genovefa) from Genevieve, patroness of Paris. (The modern English form is Jennifer.) A rarer Italian version of this name is Genevra, sometimes Ginevra (the latter is also the Italian for the Swiss city, Geneva). Genevra is most often given as the translation for the Welsh-Saxon Guinevere; Arthur, incidentally is Arturo, but the medieval form was Artu, and Merlin is Merlino. Wendy, a modern Anglo-Scandinavian name, from Woden, King of the Norse gods (for whom Wednesday is named), is usually translated Guendolina but one is unlikely to encounter it in older records. Some families have a tradition of rare names, including some which would not be considered very attractive, or even very pronounceable, today. Whatever their origins, they constitute a unique heritage.